or wanting to start a podcast. Join us for the April Joburg Podmeet! It’s almost time for another one of our podcaster’s meetups. This time Duncan McLeod from TechCentral joins us to share his experiences and answer your questions. RSVP today and let your friends and colleagues know. As always, you can reach us at podmeet@journalism.co.za. If you’re in Cape Town or have podcasting friends there, note that our Cape Town Podmeet will take place on 2 April. Please email for more info. 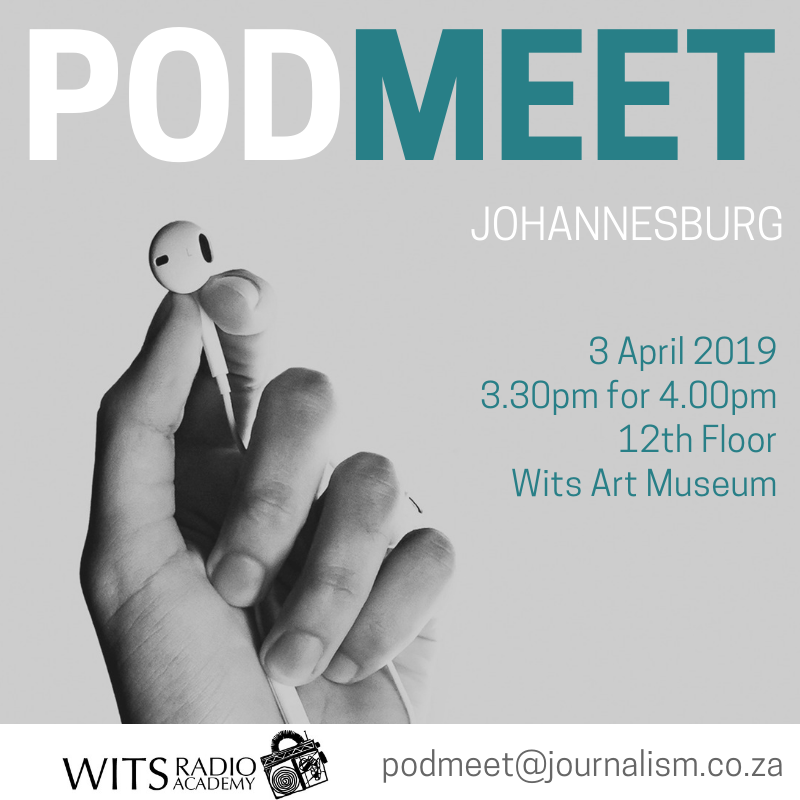 Podmeet is a project of the Wits Radio Academy.